Sometimes luck is on your side. 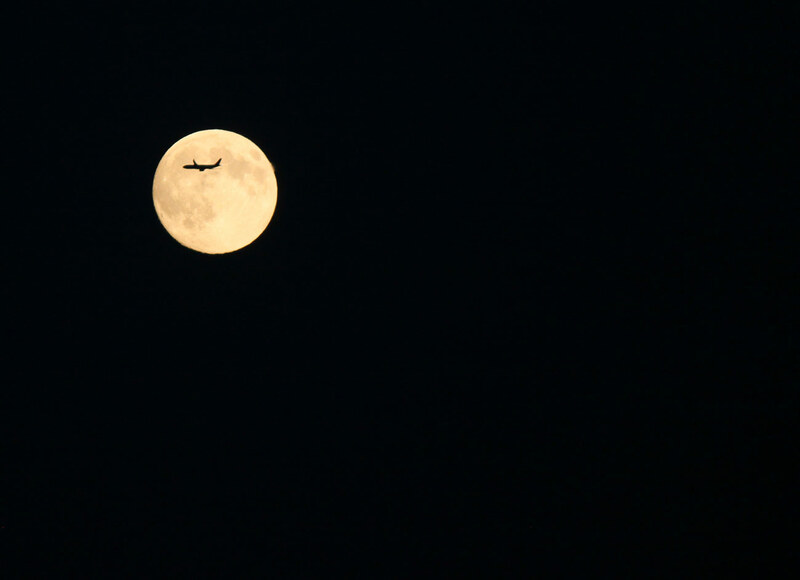 As we were taking pictures of the moon tonight, my camera mounted on a tripod and set with a timer, I was clicking away and then this plane flew perfectly in front of the moon… I squealed… I literally squealed. Wow! Talk about being at the right place, at the right time. What an amazing shot!